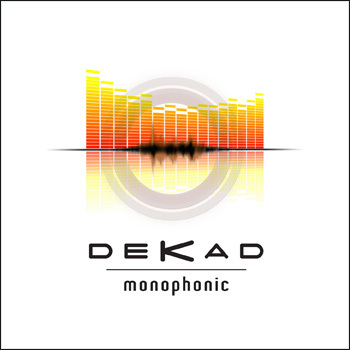 Now a solo project, Dekad presents its third album logically named 'Monophonic'. 11 track of energetic electronic pop, melodies and heavy basslines. 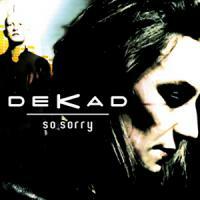 Includes "So Sorry" duet with Foretaste's singer. Now a solo project, Dekad presents its third album logically named 'Monophonic'. And this change in the line-up proves once again that less is more. 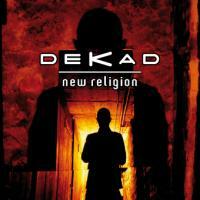 Dekad remains a blend of electro, pop, wave and EBM but add extra layers with deeper songwriting and lush production. Led by first single 'So Sorry' an emotional duet with Foretaste's singer, 'Monophonic' strongly improves the sound of Dekad and proposes a great combination of energy and melodies. 'Monophonic' is probably the best album of Dekad to date, and it reminds us, if necessary, that Dekad is a band we have to count with.